The Cotton Mako’ Ne 28 is slightly heavier (thicker) than the Ne 40 so it adds a great effect when you use it for machine quilting. It gives an extra dimension to the finished top. I have also always recommended the Cotton Mako’ Ne 28 for hand quilting. It is not wax, glazed or stiffened in any way so it sits in the needle nicely and looks wonderful on the quilt top. 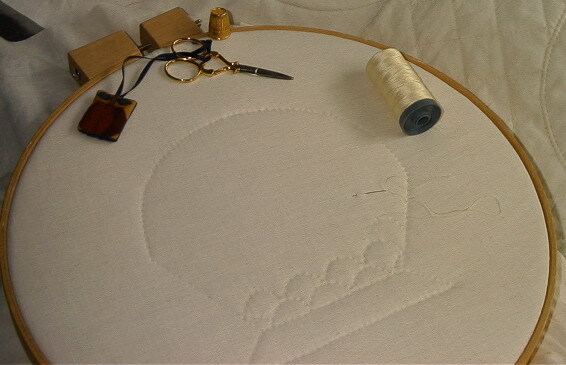 However if you are a fine hand quilter you might like to try Cotton Mako’ Ne 40. Don’t let yourself be limited by labels, and appearance. Even though the Cotton Mako’ threads are presented on spools, and are obviously designed to work on a sewing machine, they give beautiful results when used for hand embroidery. 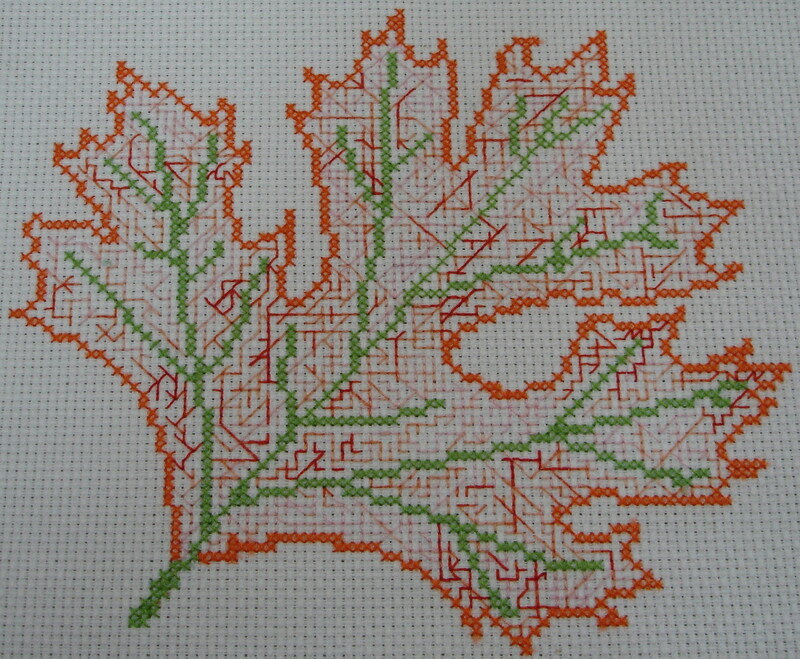 The thread sits in the needle well, pulls through the fabric effortlessly and looks so nice in the design. 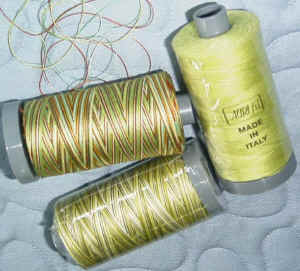 A single strand of Cotton Mako’ Ne 28 works well as a substitute for 2 strands of “stranded” embroidery thread. It saves you the hassle of separating and realigning strands, it doesn’t separate & twist when you stitch and, because the thread is on a spool, there is no wastage in your sewing basket as can happen with a “hank” . All the thread weights in the Cotton mako’ range are available in a small, mini spool, format as well as the large, standard spool. 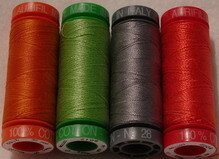 Cotton Mako’ Ne 28 mini spools hold 100 metres of thread and are available in the full range of 252 colours. We are working to add more useful information to this page.